Suzy Round often works collaboratively with Rachel Barbaresi under the name Barbaresi and Round. Their work is about places and buildings. 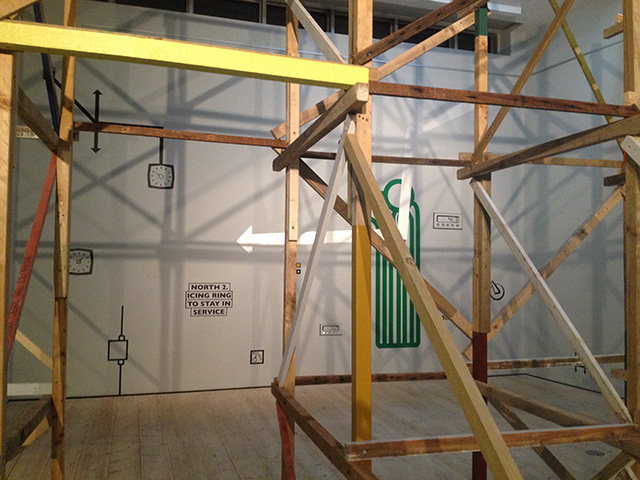 It incorporates painting, constructions, wall drawing, artist’s books and participatory practice. Round is currently in the final year of a practice based PhD at University of the Creative Arts (UCA) Canterbury. Her research approaches architecture as a fine artist, looking at the lives of buildings after the architect has walked away, linking physical interventions and adaptations in buildings to ideas around social space.